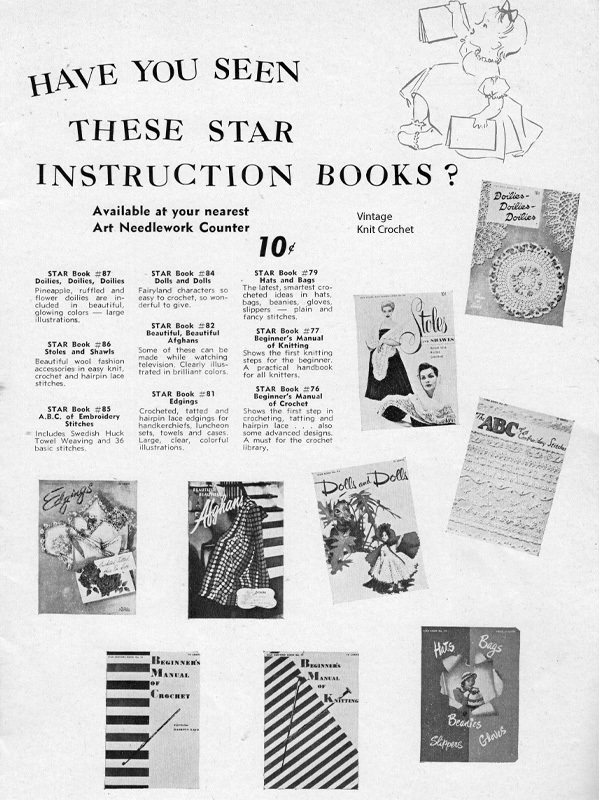 The front cover covers all the patterns in the book. 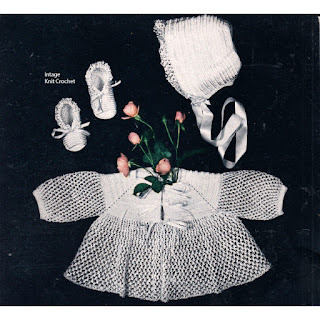 For the aesthetics of it all, pattern pictures are typically nice coordinated with each other. Not in the case here. We've four different unrelated patterns. But still, sweet designs they are. This Knot Stitch baby set is beaded with ribbon ties. The set is almost Christening quality. 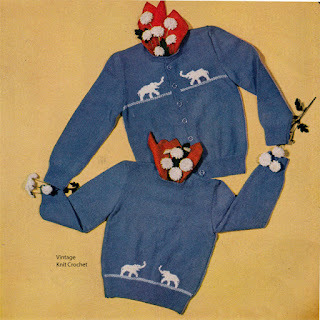 Here's an early touch of the American Thread 1960's whimsy. 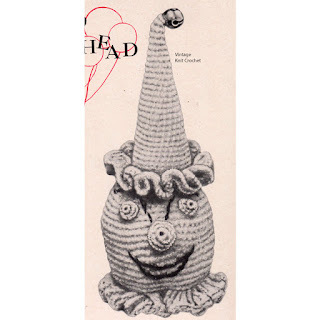 Yes, it's a crocheted clown head, complete with embroidered facial features and a bell on top of the Pixie hat. These knitted accessories are for your little Girly-Girls. 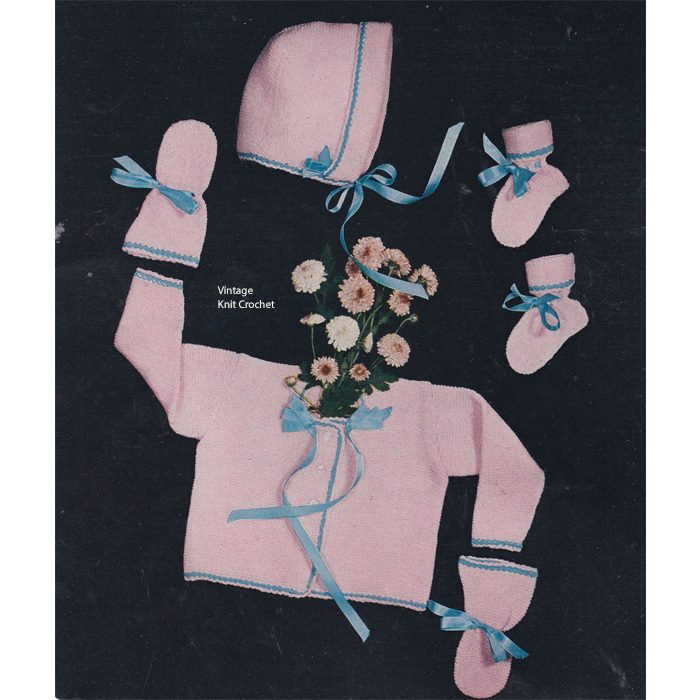 This knitted Baby Sacque and Bonnet has a lacy appeal with small embroidered flowers for the feminine touch. 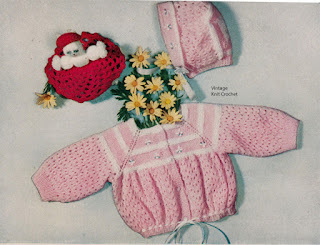 American Thread official name this design "Pink Baby Set". 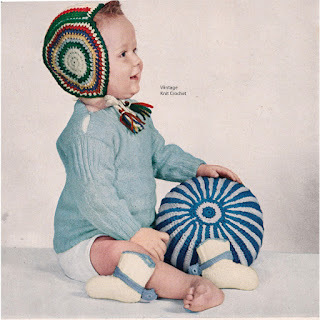 Of course, you can knit it in any color you choose. 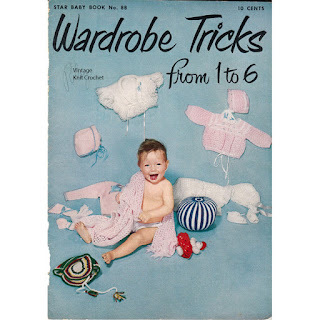 The set is sized 6 to 12 months. This sister and brother set gives us a basic pullover and cardigan with a cute elephant motif. The set is written for Size to, with changes for 4 and 6. Although the book itself is named 'from 1 to 6', this is the only pattern set aimed towards the toddler. And that's it. 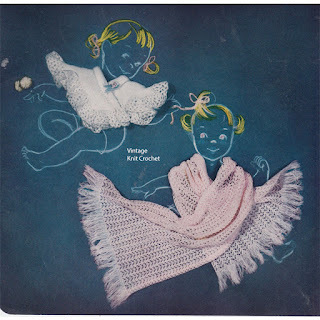 A short and sweet story that was a combination of the American Thread Yarns popular for baby in this time period. 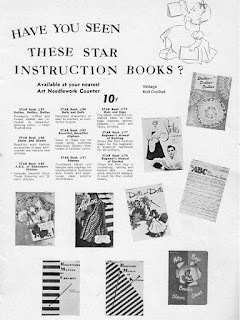 And for one additional touch of promotion, American Thread let's us know of their other books currently available in the market. 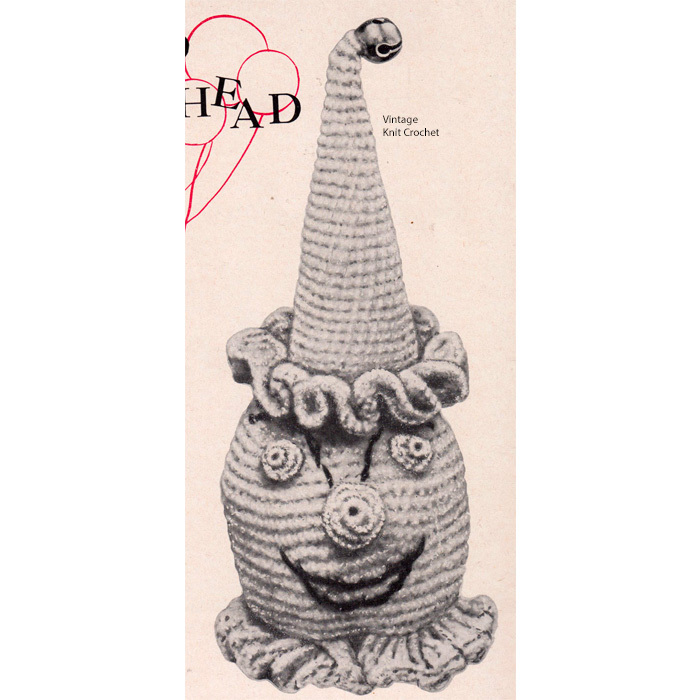 I've listed a number of the patterns in the shop, should be you interested.